Colorful is not something one would typically associate with things that are considered unpleasant, but molds buck that trend — they come in an astonishing variety of colors. They’re blue, black, green, orange, silver, yellow, white, pink & brown…and I’m sure I’ve missed some! Whatever the color, there is no doubt about one thing: You need to get rid of that mould growing in your home as quickly as possible. When it comes to mold growing indoors, it’s best not to mess around no matter what color it is. Do your best to remove all traces of the stuff as quickly as you can. If you suffer from any of the symptoms of mold exposure but can’t find a source, it could well be hidden out of sight. Under the bath tub, behind cupboards or tiling are the usual areas to check but that list is non-exhaustive. Remember, mold does not require light to grow. What kind of mold is dangerous? Typically when people talk about dangerous toxic mold that’s bad for our health, they’re talking about any mold that contains mycotoxins. These are a by-product of certain types of mold and fungus. These particles attach themselves to the spores of the mould which are so tiny, it’s easy for them to become airborne. At which point, if you’re in the vacinity of the mold growth – chances are you just inhaled them. The risks associated with exposure to these deadly mycotoxins are vastly underrated. Toxic mold exposure can elicit a wide range of negative responses, especially for the very young and old, anyone with a weakened immune system or those that suffer from allergies and asthma. Autopsies and studies show that exposure to indoor toxic mold may well be to blame for far more deaths in the United States than we first thought. Not all molds are toxic thankfully. In fact, the large majority are not harmful to humans in any way – even those with weakened immune systems. They do however come in a range of wonderful colors and I think it’s a good idea to be able to identify different types that might be growing in your home, so you can deal with them more effectively. So what accounts for this diversity of colors and what do these colors indicate? 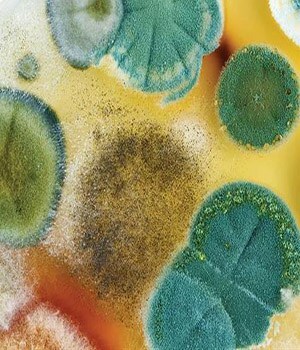 Green is the most generic color of fungi, and provides little information by itself on the type of mold. 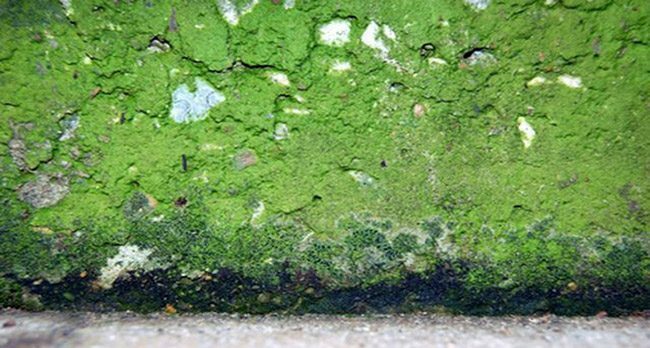 There are literally thousands of varieties of green mold, and you would have to probe deeper to pin-point the exact nature of the green mold. But it’s clear it’s not fun to have this stuff lurking on your bathroom walls or under the kitchen sink. Aspergillus, Penicillium and Cladosporium are among the most common forms of green mold. Aspergillus is the icky stuff formed on stale bread and other foods, among other surfaces. White mold can be found deposited almost anywhere and adjusts itself to most host materials especially in damp and dark conditions. The basement and attic are particularly vulnerable, but so are foods. 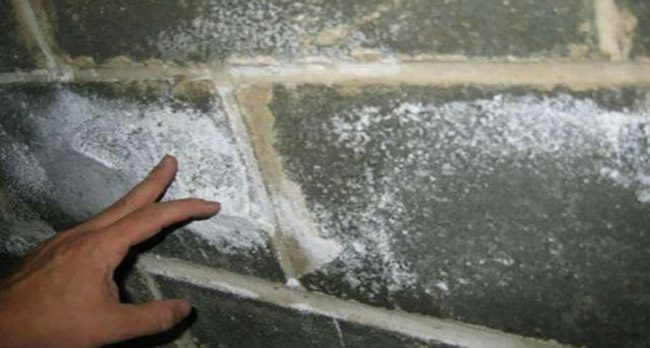 White mold tends to resemble salt deposits left behind on walls. You might have noticed a pinkish film developing on your shower curtain or bath tub if it has not been washed for a while. 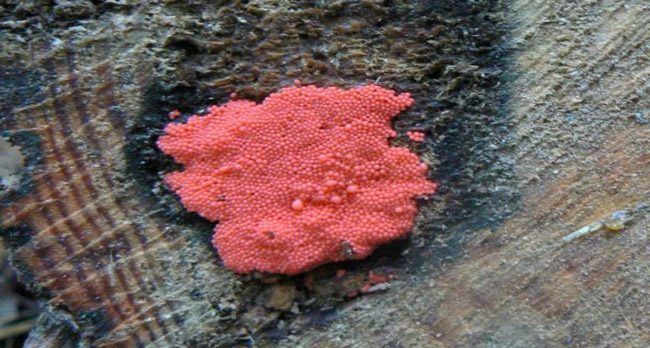 This is typically “pink mold”, Serratia marcescens in scientific parlance. There is no permanent solution for this except to clean the bathroom regularly. Strictly speaking, pink mold is a form of bacteria and the more scientifically-minded would not classify it as mold. Is yellow mold dangerous? well..it depends. 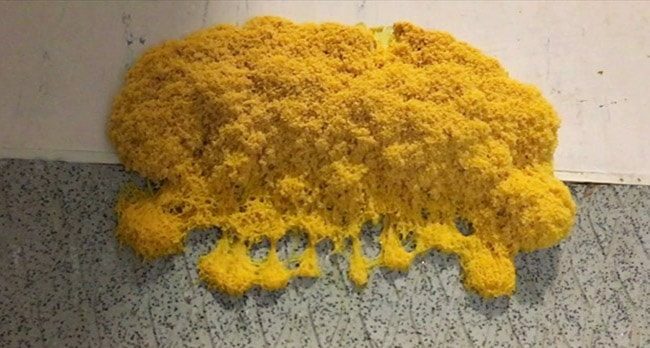 Some yellow mold, like the ‘yellow slime mold’ pictured above can be highly toxic and should be removed immediately. Don’t make the mistake of touching it or inhaling it as it can lead to several health problems. Other types of yellow mold come in less dramatic shades of yellow. Aspergillus, for instance, can also appear as yellow. Serpula lacrymans, a mold which tends to degrade wood, is also yellow. So, which type of yellow mold should be avoided? – If you spot yellow mold that is a very bright variant of the color (and so easily detected) chances are this is the highly toxic variety. If you want to make sure, I suggest you buy a mold test kit to help identify it. 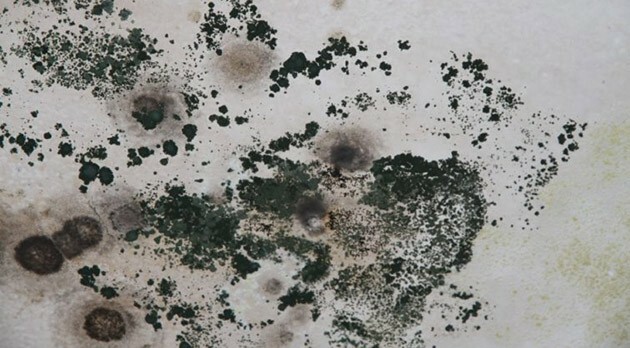 There’s a good chance that this is Alternaria (pictured above), typically an outdoor mold found in dusty, damp spaces and near plants and soil. Lately, it is also increasingly being found in homes and the dust in your home can have traces of it. Exposure to Alternaria has been linked to increased risk of asthma. 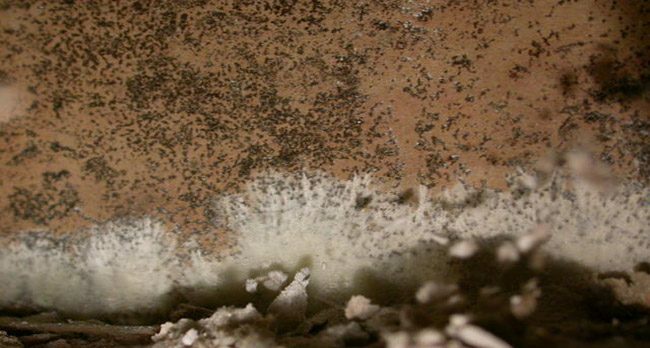 If molds were a gangster film, the infamous ‘toxic’ black mold would be the Godfather. Going by the scientific name of Stachbotrys chartarum, the black or greenish-black mold is the main culprit for releasing those mycotoxins we talked about earlier. This stuff is no joke. Exposure to certain mycotoxins is seriously dangerous to human health . Some warning signs associated with toxic black molds are persistent coughing and sneezing, rashes, periodic headaches, and fatigue. For people with pre-existing conditions like asthma or allergies, black mold poisoning can even be fatal. This mold is typically found in leaky areas, old decaying wood, paper and foods. Stachybotrys chartarum releases it’s spores while feeding on organic materials that are rich in moisture. 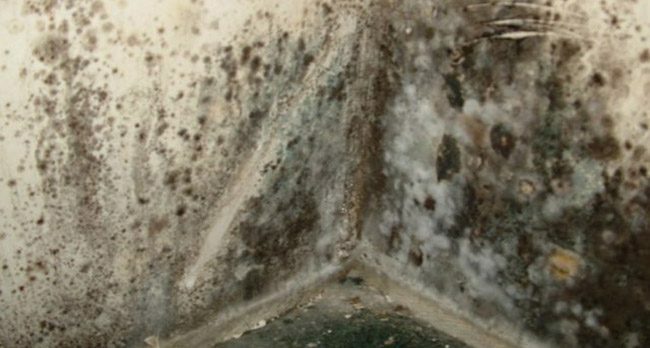 Certain types of brown mold can spread rapidly after appearing on hard surfaces. 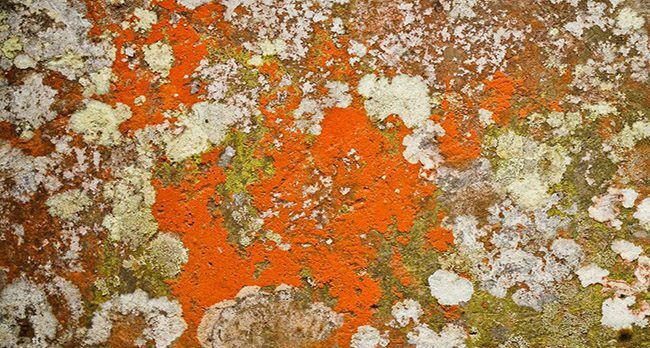 There are many different types of mold that can appear brown in color. These include (but not limited to) Pithomyces chartarum, Aureobasidium pullulans, Stemonitis and Taeoniella. In order to determine the exact type, you would have to get it checked in a lab. Remember, the same mold types can also appear in other colors. Brown molds tend to develop a darker hue because of the surface they’re growing on. The mold may also have a particularly musty odor. Though not dangerous like ‘toxic’ black mold, brown mold does still release spores which can cause coughing, sneezing and other allergic reactions. This yucky looking mold is commonly found outdoors but can settle on wooden structures inside homes and surfaces like beams and floors. It can cause damage to the structure in the long term. While prolonged exposure can aggravate pre-existing conditions like asthma, orange molds generally don’t pose a major health risk.